Tableau : Bar Chart displaying Representative and TotalSell along with their yearly bonus. 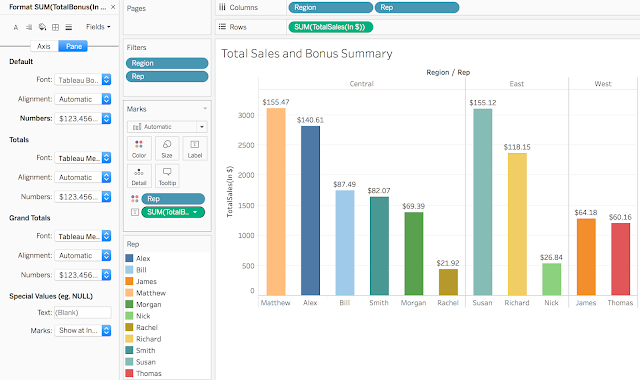 In previous post we discussed about Data visualisation with CSV data source and Tableau : Export a Image chart with report generated from CSV data - here we visualised Representative and their TotalSells. In this post we will reuse same worksheet and enhance to solve Try Yourself question posted at end of above post. Question: Create a bar chart displaying Representative and TotalSell along with there yearly bonus. Display yearly bonus at top of each bar. 1. 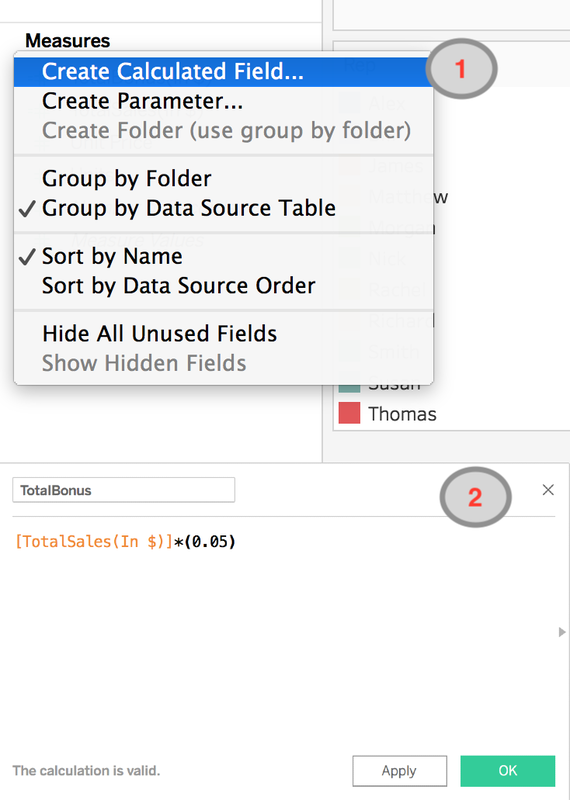 Right click in Measures section and click on "Create Calculated field". 2. Provide a validation name for this new fields as "TotalBonus" and it is 5% of total sell. 3. Drag TotalBonus from Measures section on Label. 4. Right click on dragged field from Marks section(below tooltip) and format it with standard English(US) to display in $.